**This is a paid review, but my experiences and opinions are my own. As a blogger and fitness enthusiast I do my best to provide true and honest accounts of fitness products and routines. A few weeks ago I was awarded the opportunity to review the new ActivMotion Bar. Have you heard of it? What is an ActivMotion Bar? Acting on the premise of stability training the bar is filled with rolling weights that move as you work to stabilize them all while engaging your core. This action of engaging and disrupting movements is called Disruptive Training. The closest thing I’ve tried to this were fluid filled pvc pipes at a crossfit booth last summer. I remember being thrown off-balance when I used the bar for the routine, the shift of weight made the overhead squats that much more of a challenge. So when I learned about what this bar did it seemed like it would be a great way to boost my workouts. Upon initial receipt of the bar I was a little disappointed in the weight. I like to consider myself a strong woman and figured that this 6 lb bar wouldn’t have much to offer in the form of challenging my body. Let me tell you this, I was wrong. I had just started up with Body Beast and many of the exercises called for a standard weight bar (which I didn’t have). After seeing Tony Horton use the bar in some of his routines I figured it would be just as easy to adapt it to my own program. It’s come in use the most during leg day and I’ve found it to be great for focusing on proper form during those hefty leg exercises. 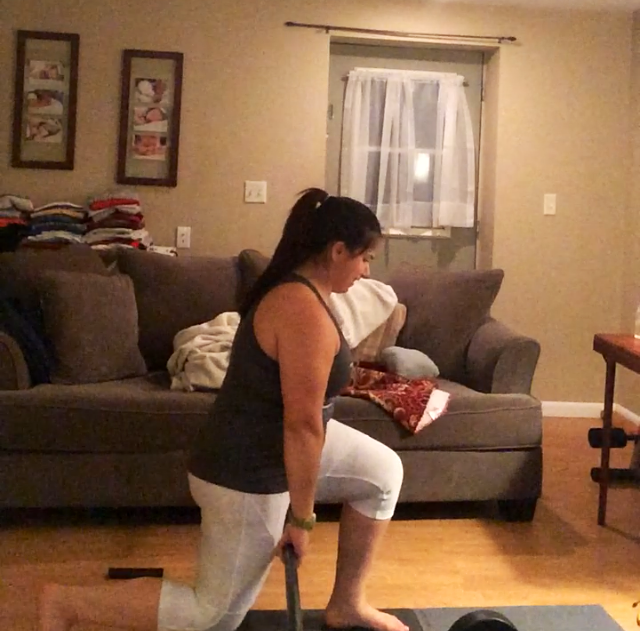 I have weak knees so there is no need (or desire) for me to go heavy on the weights when lunging and squatting so the bar worked well to challenge my form. 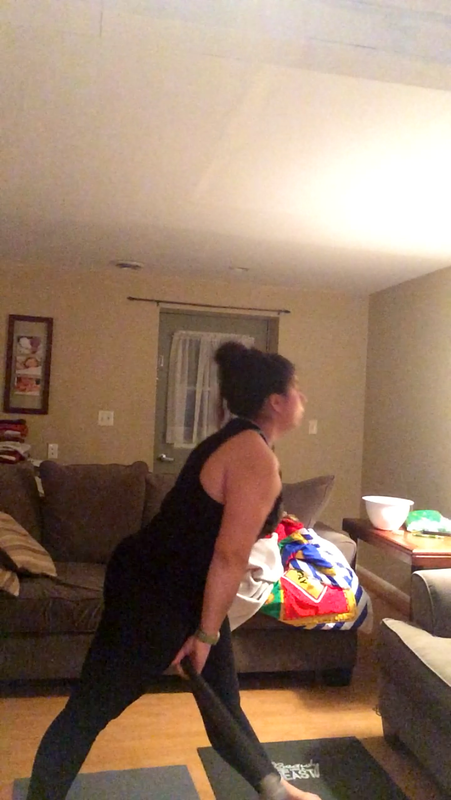 After using the bar to focus on form during my Body Beast workouts I decided to change things up and give it a go and test out some of the moves in the Movement Library. 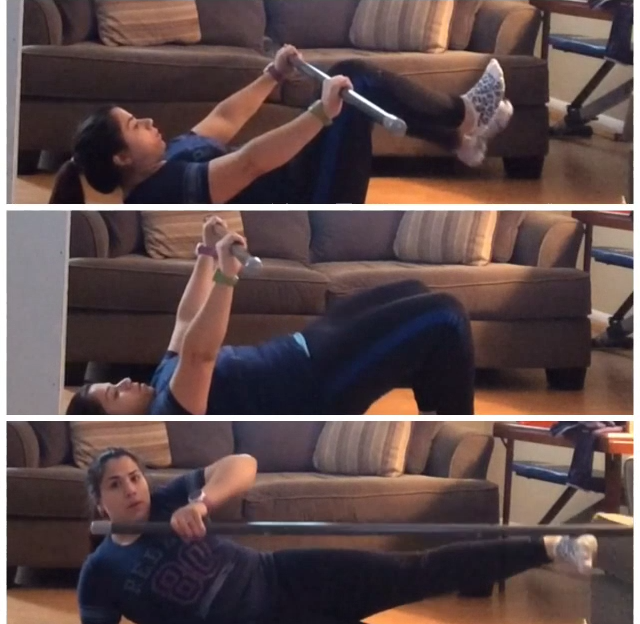 This bar is perfect for core work! It’s something that I often neglect (unless it’s built into my routine) and I was glad to see moves geared towards building my core strength. 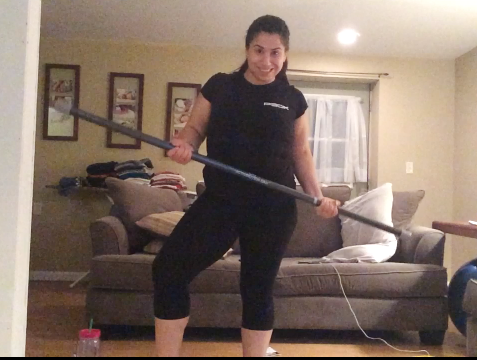 Moves that might otherwise seem simple were amplified when I added in the bar. Hip bridges and heel touches never felt more challenging. I stood corrected and was thoroughly impressed with the workout. I’ve yet to get through every workout DVD that came with the bar, but liked what I have seen so far. At home workouts are obviously not new to me so I have a lot to offer in comparison. My only gripe with the workout DVDs that I’ve tried so far is that they are obviously low-budget production quality. The first DVD I used had issues of blacking out a couple of times through the workout and there weren’t any bells and whistles. This is not a deal breaker. If you’re determined to get a good workout in, then these minor issues won’t bother you much. I blame my bias for these DVDs on my overuse of Beachbody programs and the like. I’ll admit, I always compare other workout DVDs to my BB collection and it’s a hard habit to break. I’ve been using their programs for so long and have become conditioned to the format. I do however see the value of a great product and look forward to using this piece of equipment in the future and adapting it to my current Beachbody routines. For more information on the bar and how to order your own be sure to visit http://www.activmotionbar.com to view their great selection of products. The bar is available in various weight increments and there are great combination kits up for grabs.